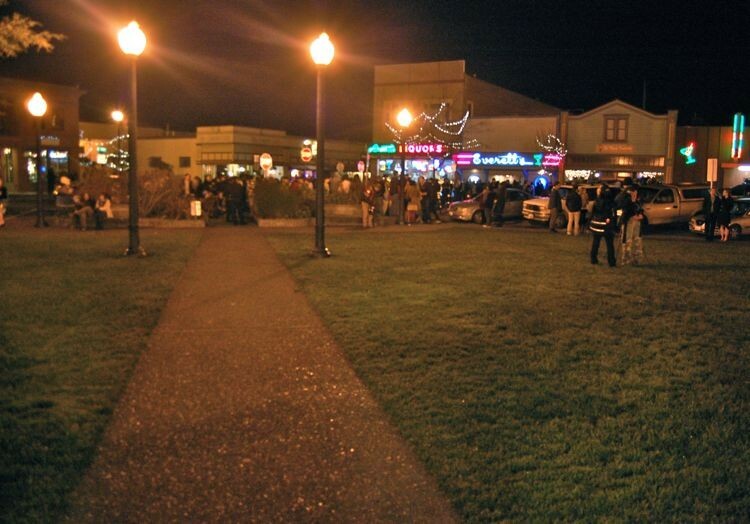 The much hyped Arcata Plaza edition of New Year's Eve has come and gone. For those keeping score: no Presidents were scaled. No bottles went airborne. Grass still looks good. From the City of Arcata's standpoint: mission accomplished. But to many others, the New Year's buzz was killed. Much in the same way that a show of force by law enforcement was able to snuff out the unofficial annual 4/20 proceedings at Redwood Park, the thick blue line that protected the Plaza's Mckinley-adorned inner sanctum proved a more-than-adequate deterrent to any reveler that might have wanted to scale the 25th President. Destruction averted. But the atmosphere certainly less than festive. 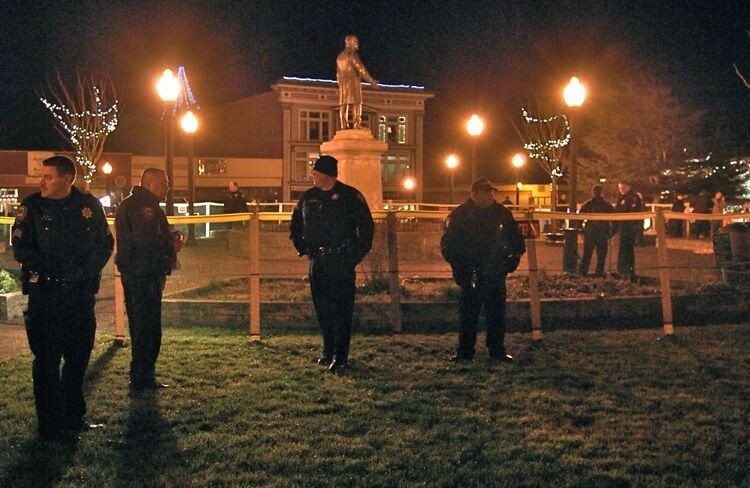 Around mid-New Year's Eve day -- as was foretold in a press release issued by the City on Thursday -- a chest-high mesh fence was erected cordoning off the concrete flower beds that form the Plaza's center. 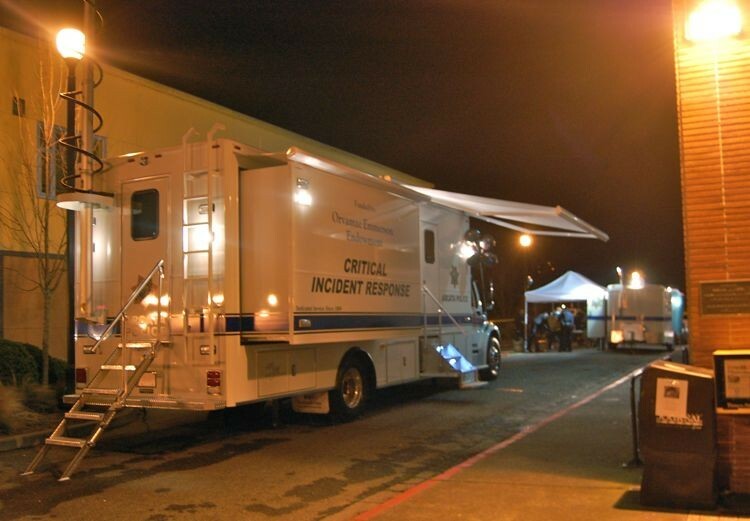 Another inescapable presence, the APD's new G.I.-Joe-Mobile-Command-Center-esque Critical Incident Response trailer -- a philanthropic donation received earlier this year -- was parked next to Bank of America on Eighth Street right off the Plaza to enable onsite arrestee processing. Law enforcement presence increased, as the night wore on. Adding to a heavy APD presence, officers from -- deep breath -- Eureka Police, Ferndale Police, Fortuna Police, Humboldt County District Attorney's Office, Humboldt State University Police and Rio Dell Police -- whew -- stationed themselves inside the fence and at the corners of the Plaza while also patrolling the perimeter. Woot! As the midnight hour approached, significantly less people than in years past made their way Plazaward. 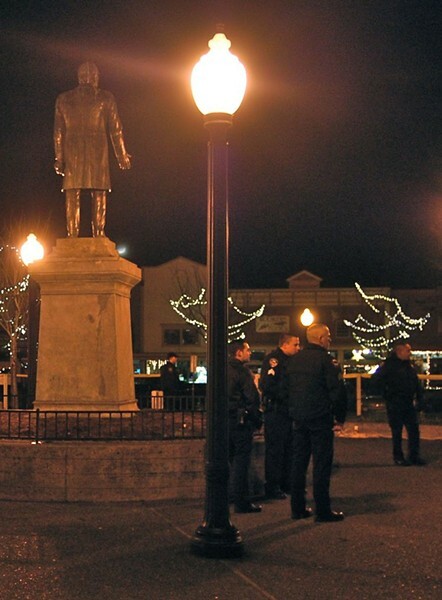 At around 12 a.m. -- depending on the time individual cell phones kept -- disjoined shouts of "Happy New Year," went up from the smatterings of groups on the outskirts of the plaza like separate kernels of popcorn popping. For a brief moment, an obligatory drum circle -- seemingly determined to will some semblance of celebration into the night -- formed on the northwest corner of the Plaza. The rhythms, however, lasted a mere few minutes. 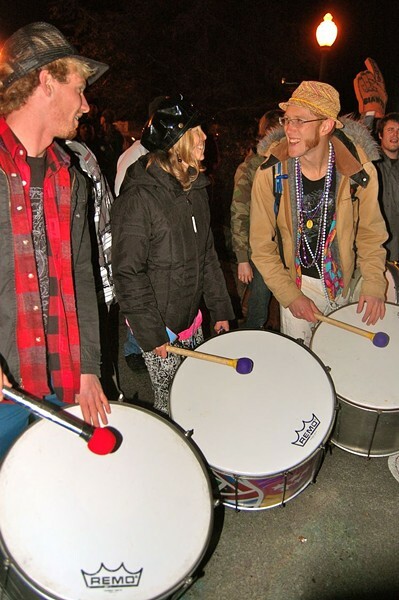 One drummer was detained and the others were told to move along by law enforcement. 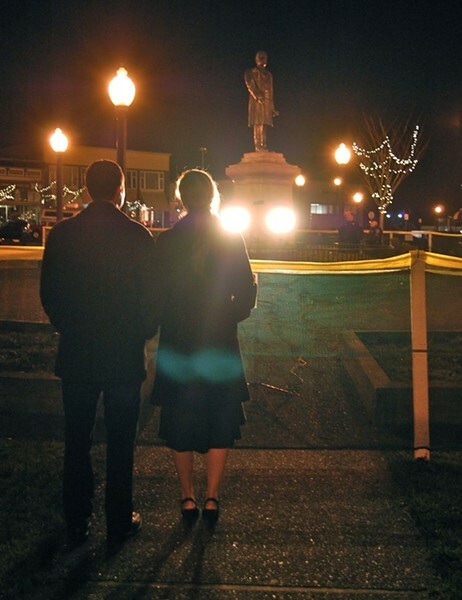 A 2:22 a.m. press release announced that the "Arcata Police Department is pleased to announce a successful New Year's Eve on the Plaza" and thanked all involved for making this year "safe and enjoyable for the citizens of Arcata." 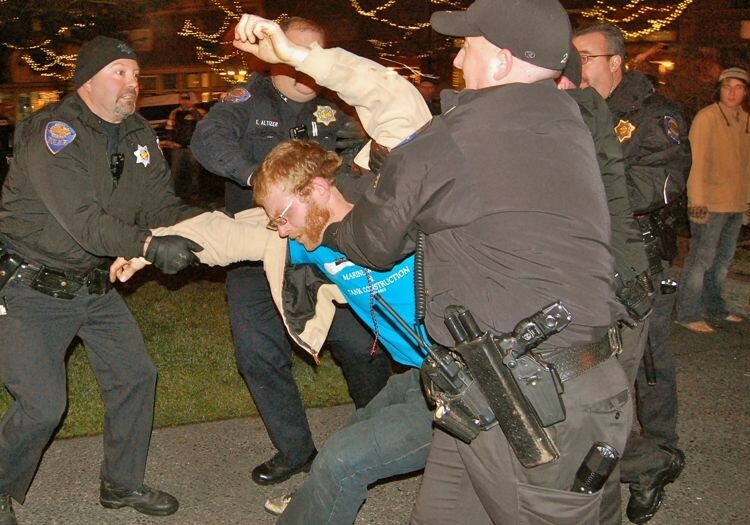 Six arrests were made during the night: five for public intoxication, one for driving under the influence. So. That's that. 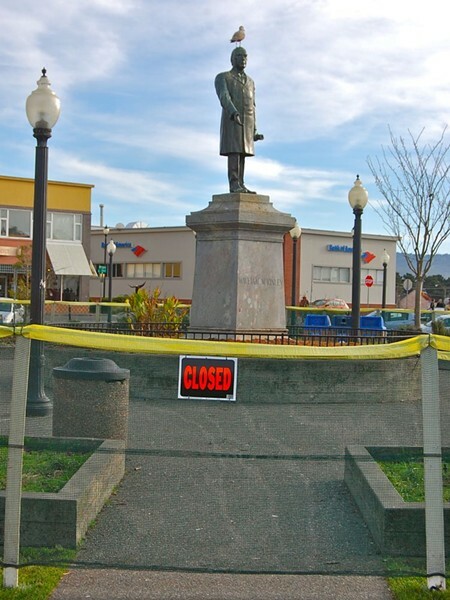 As reported by the Arcata Eye, a "Plaza Study Group" was formed at a Nov. 30 meeting held in response to the eye-opening Plaza Halloween debacle. That group and those interested in discussing how future holidays are handled are invited to gather Jan. 24 at 8 a.m. at City Hall. Officers wrangle percussionist Oliver Crane of the Janky Mallets. Earlier: A lone rebellious seagull flips the City of Arcata the bird in advance of New Year's Eve.